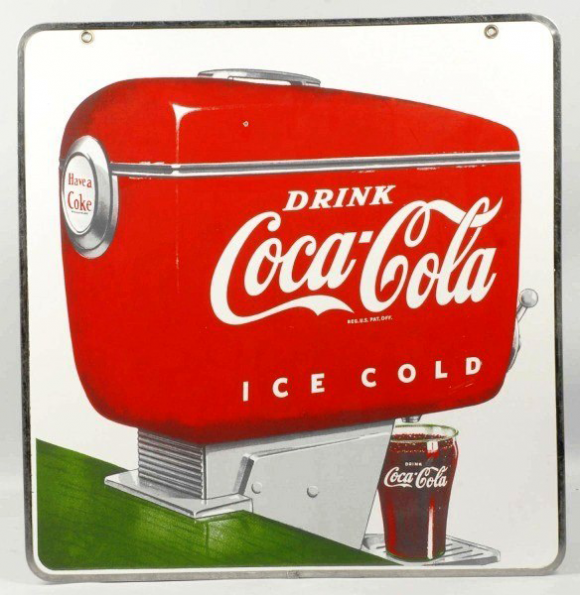 This is a square Coca-Cola Fountain porcelain sign. This particular Coca-Cola Fountain sign features a red Coca-Cola fountain against a white background. It reads, “Have a Coke, Drink Coca-Cola Ice Cold” and shows a glass being filled with Coca-Cola.